The Snowflake Ornaments on String Hanger for Decorating, Crafting and Embellishing. Add to your winter wedding decorations, painted ornaments covered with sparkling glitter. Make beautiful favors,it is best for festival and christmas. 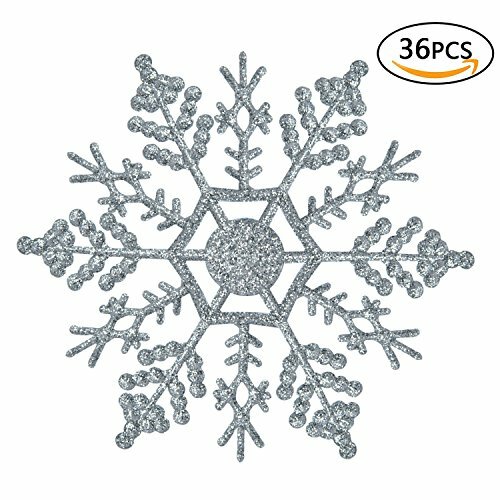 36 Pieces of white plastic snowflake decorations (3 pack, each pack for 12 pieces snowflakes). Use them to decorate your Christmas tree, front hallway of your house, up your banister with some garland or outside hanging from your tree.